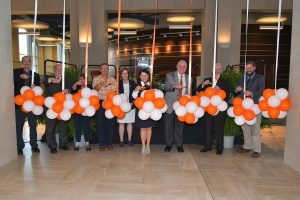 On Friday Sept 8, the UT community joined to celebrate the grand opening of Strong Hall, following the $114 million construction of the 268,000-square foot building. Built on the site of Sophronia Strong Hall, UT’s first women’s residence hall, Strong Hall features mixed classrooms, teaching laboratories and research laboratories for the Departments of Anthropology, Biology, Chemistry and Earth and Planetary Sciences. 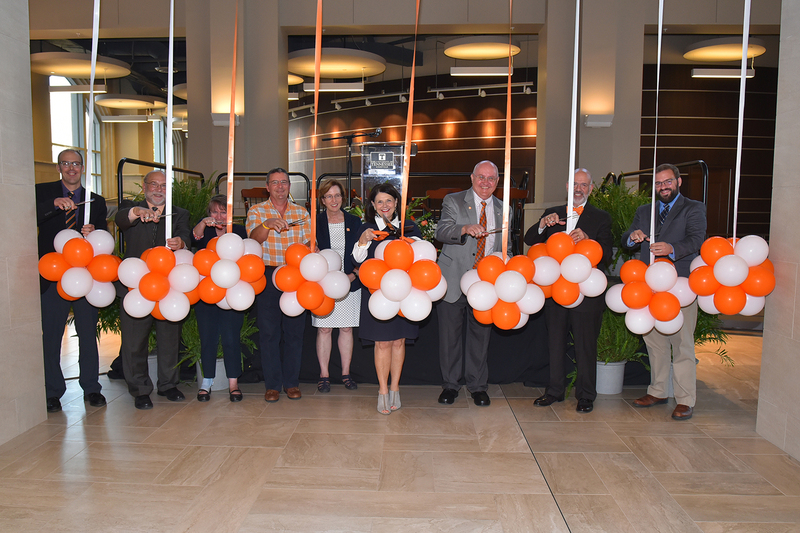 UT Anthropology doctoral student Martin Walker was selected as one of the featured speakers for the Strong Hall opening ceremony, as well as the ribbon cutting (photo, far right). In his speech, Walker described the move to Strong Hall, after the stadium for 40 years, as a new chapter for anthropology students.